Talking Tom Candy Run is the cutest endless runner you will ever play. It features adorable hand-drawn versions of your favorite characters, such as Angela, Ginger, Tom and Hank. A candy burglar has stolen Tom’s precious candies from his shop. Now it’s up to Tom to catch him, but the lousy robber is dropping sweetmeats all over places like the beach, garden, forests, spa and the roller-coaster railway. You will have to follow the candy trail to collect them. On your adventure, you will stumble upon several coins and power-ups. Special powers will help you run longer and get past obstacles. You will earn points when you collect candies. 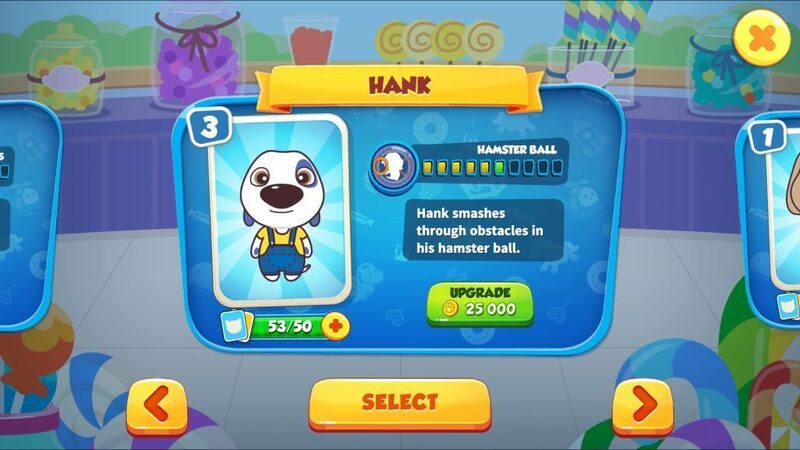 The points earn will help you unlock new locales and take Tom and his buddies to a whole new world of adventure. 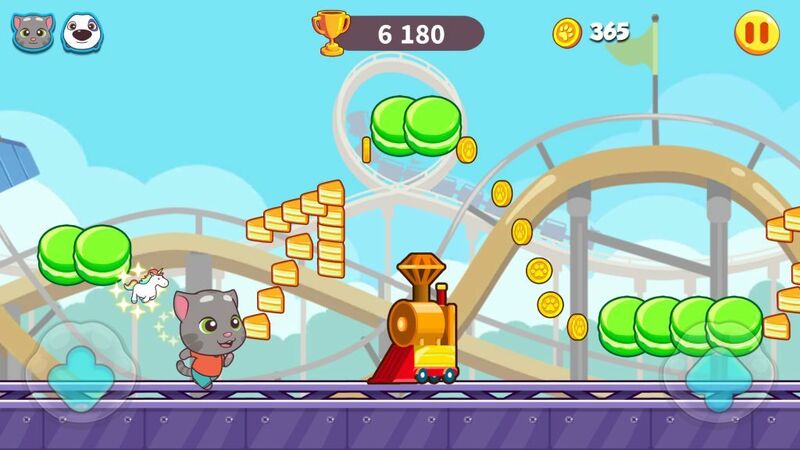 Power-ups will help you collect more candies and coins. Most of them will also protect you from obstacles, but for a few seconds. You will have to collect a lightning orb to supercharge your character. 1. Ben: His magnet power-up allows him to attract everything, including power-ups. 2. 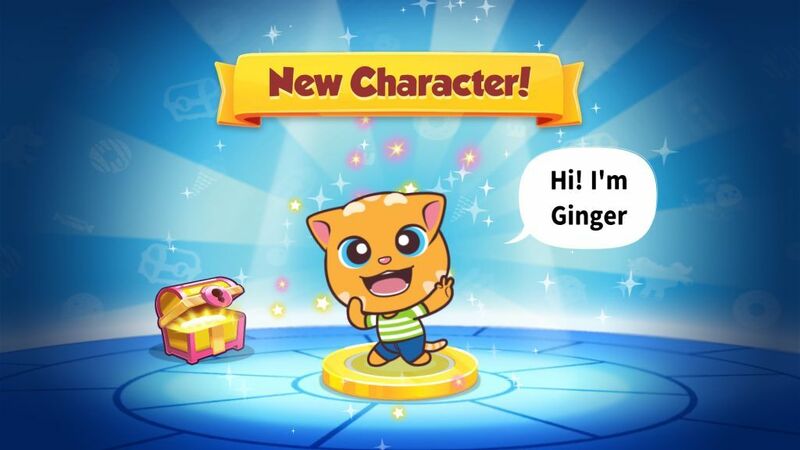 Ginger: Her handy “Skateboard lets her skate fast and destroys obstacles. 3. Brainiac Ben: His “Secret Formula” turns him into a huge monster. He will destroy anything that comes in his way. 4. Agent Angela: Her brilliant “Ruby Ray” power-up turns into special rubies, which are worth coins and points. 5. Fireman Ginger: His “Water Cannon” lets him destroy obstacle with the force of his water hose. You can get these characters from chests. There are higher chances or getting characters from a rare chest. You will find chests on your candy run adventure. They are usually found in tunnels that appear at regular intervals. Buddies grant special powers that can prove to be of great help on your Candy Run adventure. You can find them in chests, although you never know when those chests drop these helpful pals. There are three buddies you can get from chests – Unicorn, Smiley Face and Happy Cloud. Of these three, you will receive unicorn early in the game. Unicorn: If you select this buddy, you will find more power-ups appearing on the screen while running and jumping. Smiley Face: If you select it, it will revive you once per turn. Happy Cloud: Protects you from obstacles. A buddy’s power takes effect immediately when you start your adventure. Make sure you select one before getting ready for your next adventure. You will acquire a character’s power when you collect an orb with a lightning symbol. So if you have chosen Tom and grabbed the lightning orb, then you will turn him into a superhero. If you have selected Angela and grabbled a lightning orb while running, you will acquire her candy princess powers for a few seconds. When you grab a power-up, you will notice a set of bars appear on the screen. A character’s powers are active until those bars disappear. Bars show the total duration and to increase them, you will have to level up a character. To upgrade, you will have to gather a certain number of character cards. So if you want to upgrade Angela, you will have to collect several Angela cards and head to the character selection screen to level her up. When you upgrade a character, you will notice that there’s an increase in the number of bars. 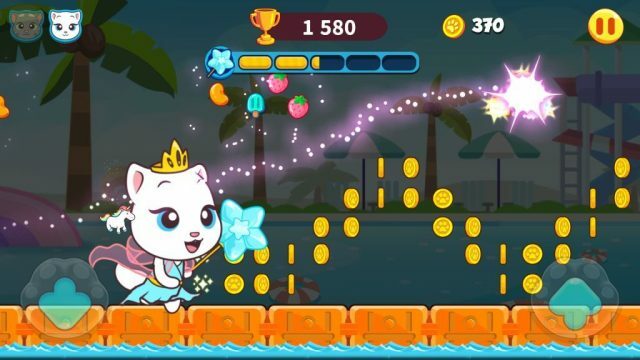 Now when you get a power-up, you will notice that a character’s power-up duration increased by a few seconds, allowing you to get past more obstacles, collect more candies and coins. While collecting those delicious jawbreakers, you are actually following a chain of candies that magically suggest when should you jump and slide. Pay attention to the arrows, which give you a hint as what to do next. These arrows may suggest when to jump, when to slide or when to get down from a platform. Arrows usually appear before a series of obstacles or platforms up in the air. Be alert and follow those arrows to avoid bumping into obstacles of falling off a platform. Top Arrow: Collecting the upward arrow orb will turn a character into a giant for a few seconds. 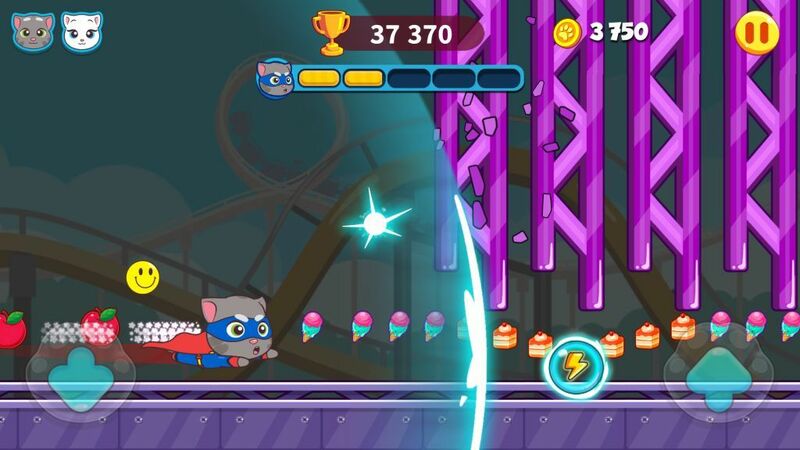 The adorably huge character will not only destroy any obstacle on their way, but also collect candies and coins floating higher up in the sky. Magnet: When you get an orb with a magnet inside it, your character will attract coins and candies, including those that are floating in the sky. Right Arrow: Get this power-up to make you character run faster. When you finish a daily mission, you will receive plenty of coins and diamonds. Daily missions range from collecting a certain number and type of candy to destroying obstacles. When you complete all daily missions, you will receive a rare pink chest, which contains more character cards, coins and diamonds. Save all gems that you receive from daily missions and chests to purchase the rare pink chest or the epic blue chest as they may contain a new character.